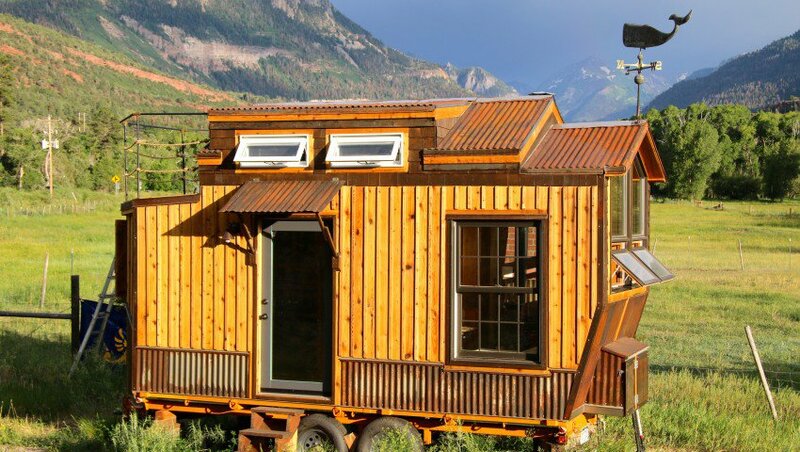 A tiny house with a unique one-of-a-kind design! 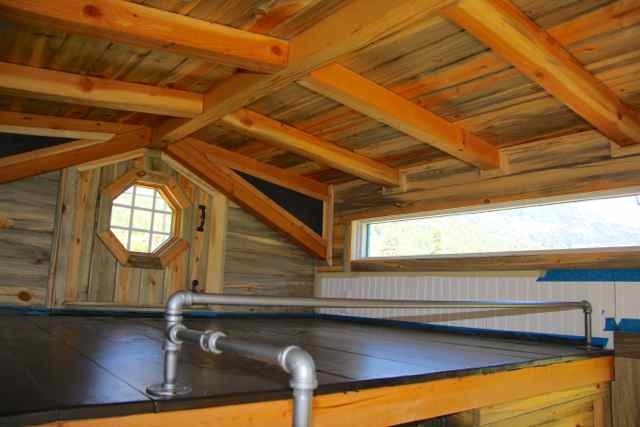 The home features a kitchen, living room area, a kitchen, a loft bedroom and a bathroom. 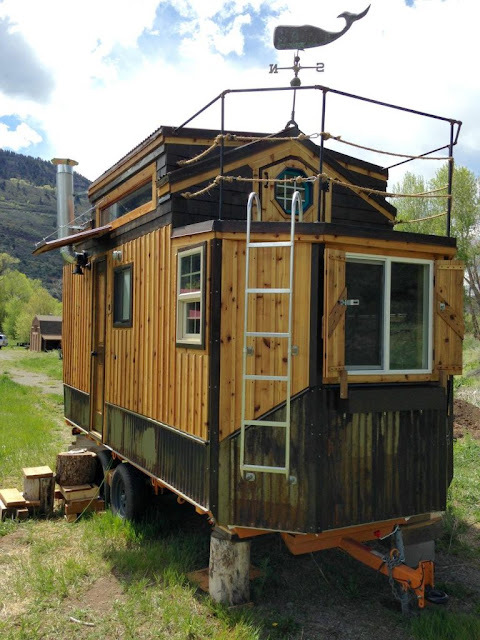 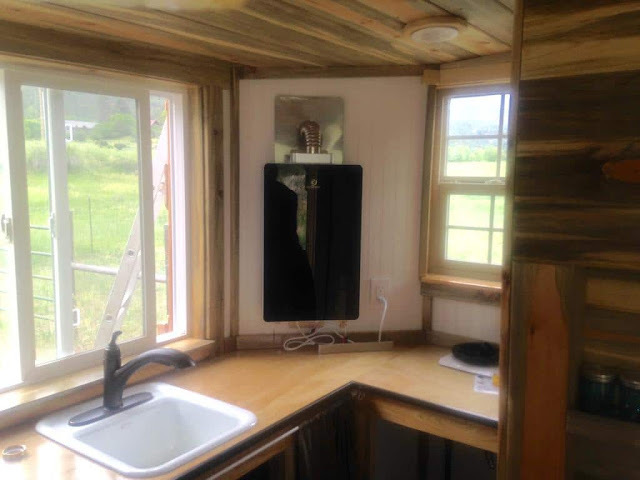 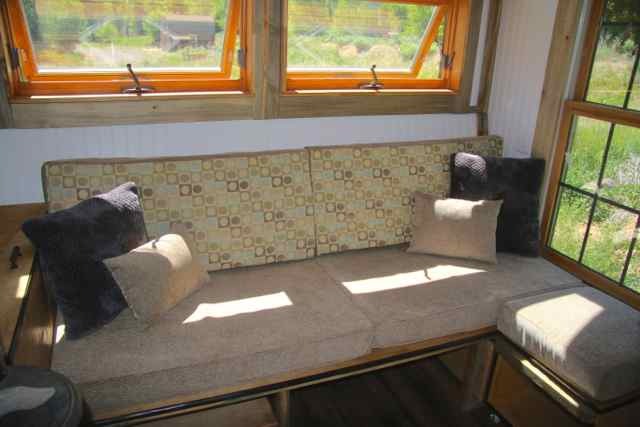 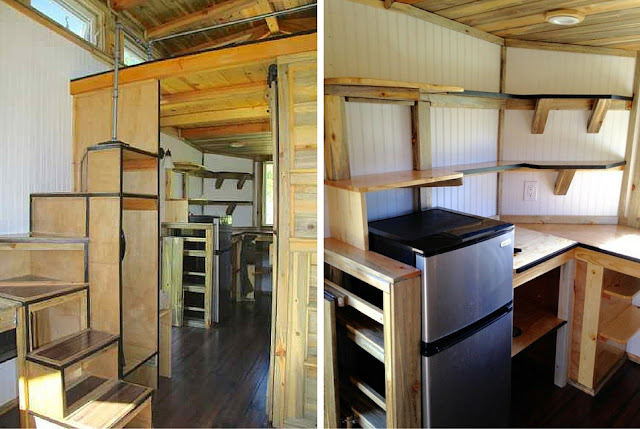 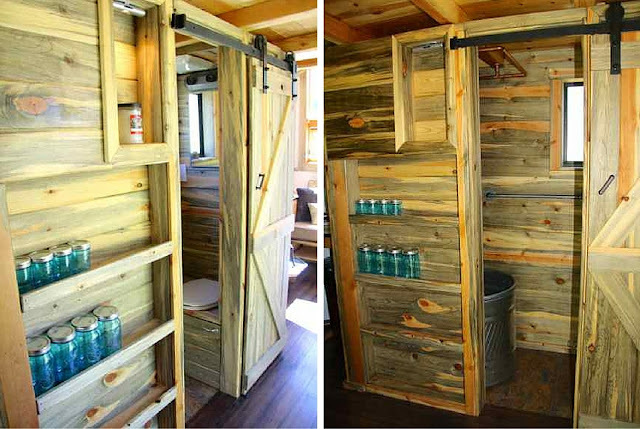 It’s built on a custom 18’ trailer, and measures about 200 sq ft in total. It was listed for sale last year for $39,500.